This was the first Radwood event on the east coast, and it was surely one of my favorite events of this year. Radwood is a car-based celebration of 1980s and 90s culture and the stuff that showed up was extremely interesting. I’ll let the highlights do the rest of the talking for now. There’s much more to come. Enjoy! For this 4th of July post, I thought it fitting to share what is probably the most valuable and coveted American car on the planet, the Shelby Daytona Coupe at the Simeone Museum. It is one of just six Daytona Coupes made, and it may be the only one left in original condition. Simeone has written an expansive piece on the history of this car, which you can read here. We hadn’t been to the museum in a while, so we decided to stop by after the rain hit the CF Charities event a few weeks ago. It’s always more than worth it to see all of the insane machines they have in one place. I highly recommend it! This rare Shelby Series 1, which was owned by Carroll Shelby himself, sold for $313,000 at Bonhams auction last weekend in Greenwich. 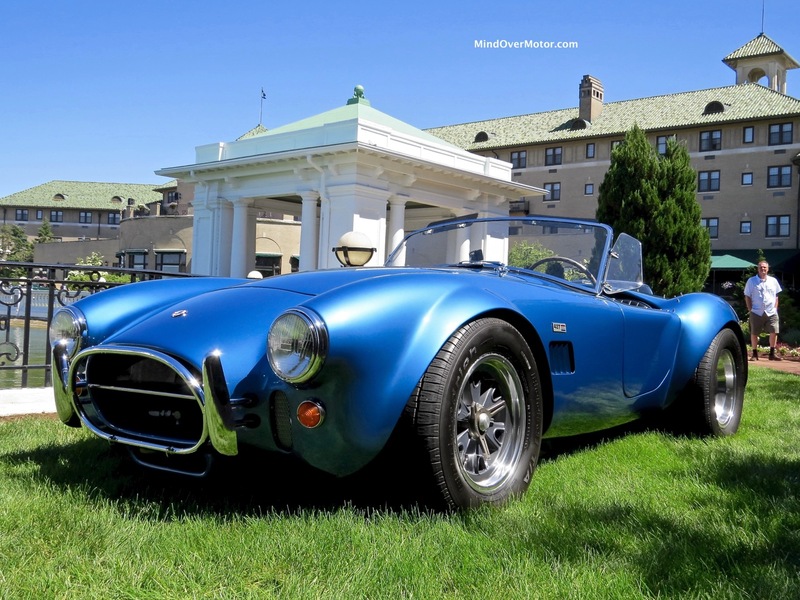 The Series 1 was an impressive car, Shelby’s own successor to the Cobra in many ways (even after the Dodge Viper existed) This particular car was the test car for the optional supercharger, which brought the engine up to 600hp and dropped 0-60 from 4.4 sec down to 3.2 sec. That was more than extremely fast back in the 90’s, however, only 249 Series 1s were produced because they were quite expensive for their day at around $180,000. One thing I hate, but also kind of love, about this car is the “shittiness” of its interior. It just reeks of the worst of mid-90s Ford build quality. I mean the thought of spending over $300k on a car and then being handed one of those awful plastic keys is both sad and hilarious. This car deserved a lot better, but it’s got what you want where it really counts. 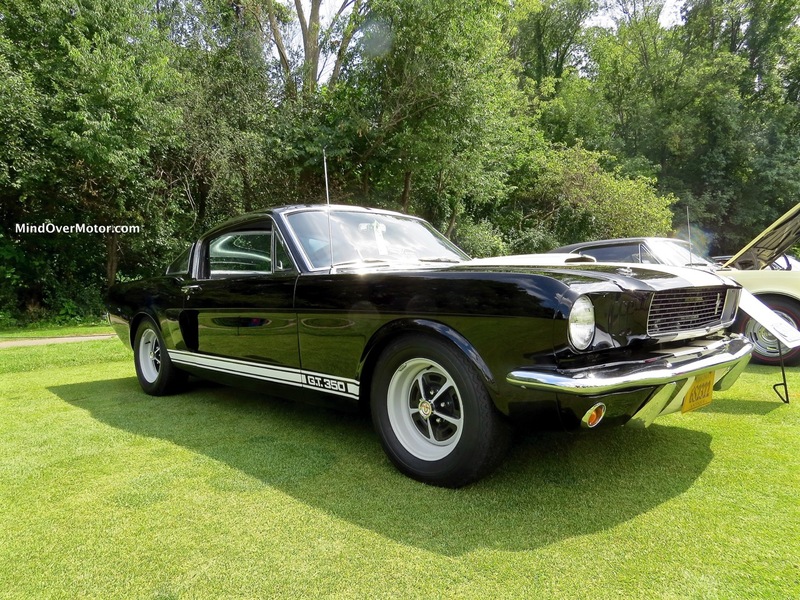 Truth be told, the Shelby Series 1 is very much “of its era” and I wouldn’t change a thing. Enjoy the gallery, and read more on the car here. The Shelby Cobra was a truly legendary car, which took the standard muscle car formula of “big engine in a small car” and took it to its logical extreme, thanks to a puny British roadster infused with the beating heart of a Ford big-block V8 (or small block for the weak). The story has continued today, with various companies offering kit cars. 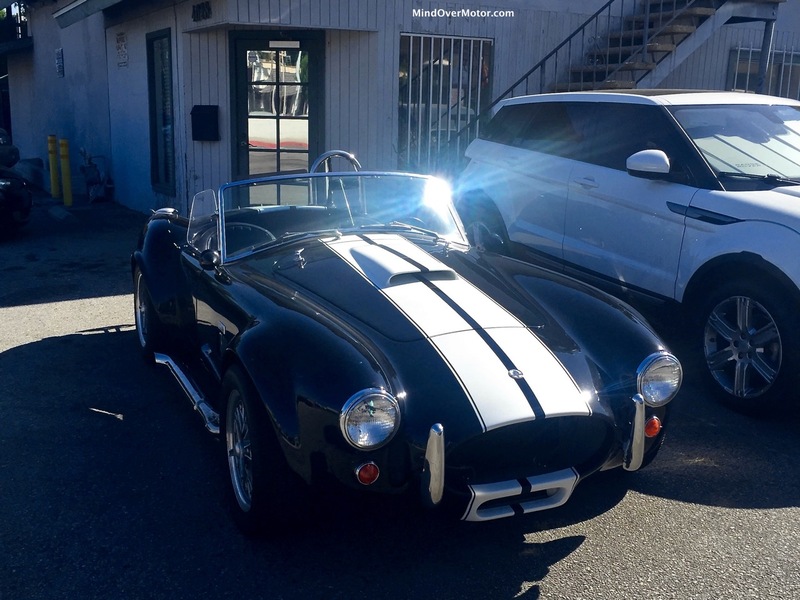 My brother Matt was out and about on Sunday morning and came across this Cobra kit car sitting on the side of the street. 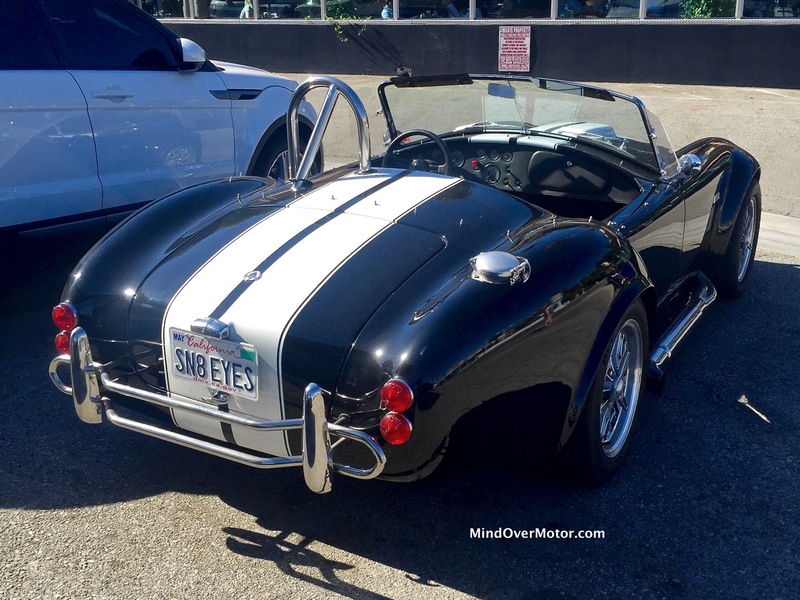 He’s become quite a reliable car spotter out in L.A.–and he’s clearly not afraid of the egg-fryingly hot temperatures out there (unlike me, who is happy to sit in air conditioning the entire day). Thanks for the pickup, Matt! 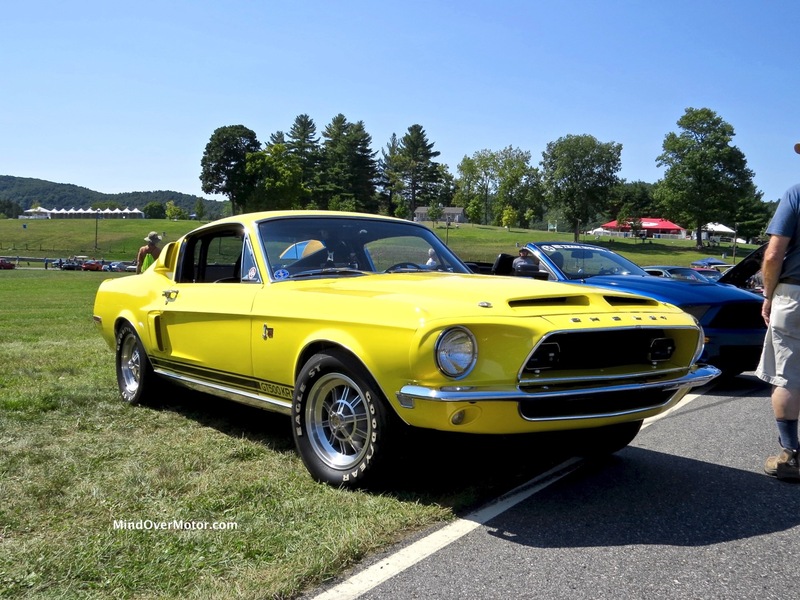 We had a fun, but rainy, weekend at the Greenwich Concours d’Elegance, especially on Sunday. Saturday was quite nice, though, and there was a spectacular array of cars on the field. This is our highlight gallery from Day 1. 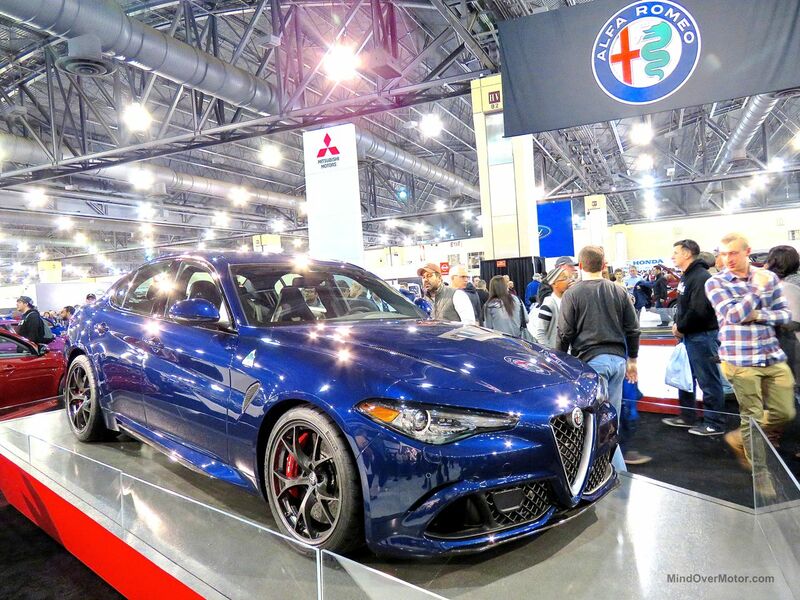 The Philadelphia Auto Show was lively this year, with many of the newest releases on display. I must admit that I am completely in love with the blue Alfa Romeo Giulia Quadrifoglio you see above (it’s stick too). I also got my first look at the new Fiata (124 Spider), Cadillac XT5, Honda Ridgeline, and the oh-so-sleek Volvo S90. I also got a good look at the new Toyota Prius, which was regrettable on the eyes. There are a lot of great new cars to be excited about! My weekend of car shows in Middlesex County, NJ did not stop with the Elks Lodge show. 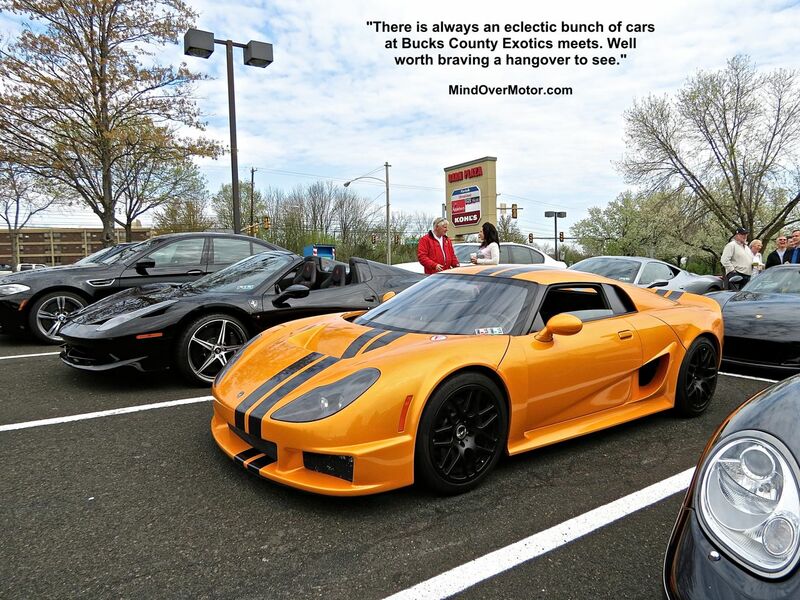 I had been invited to attend the Vipers and Exotics for Victoria show at the local Quaker Steak and Lube down in Edison, NJ by my friend Schen–who was helping to run the event. Schen’s a huge Viper and Mopar fan and I was more than happy to attend and take some pictures. This was a charity event for the daughter of the restaurant’s regional manager, who has a brain disease that needs immediate treatment. All of the entry fees at the show went towards treatment for Victoria. This past Saturday, I was in a conundrum. I knew that the local Elks Lodge up the street was putting on a car show, but I wasn’t sure if they’d let me put my Miata in the show. I decided to just drive it over and see what would happen. I was the first guy to show up in an imported car (there was already a Toyota Truck in the show) but they let me in for a few bucks and I gladly obliged, hiding the Miata, in all its scratched-up, four-cylinder glory, in between a few Corvettes. For my efforts, I was rewarded third in class for import cars–which came with a nice $25 gift certificate to the local Italian establishment, Mama Rosina’s. This Rossion Q1 and Ferrari 458 Spider were just the tip of the iceberg of awesome cars at the meet. 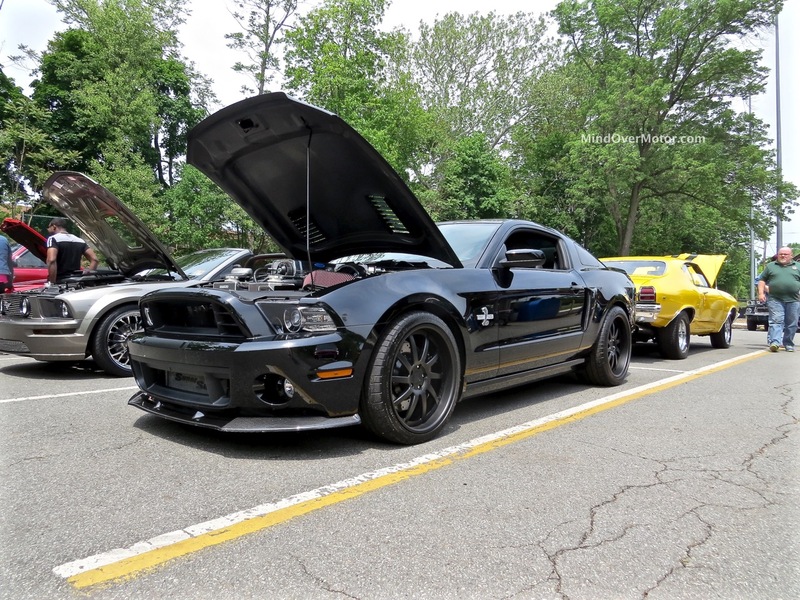 We were in attendance for the Bucks County Exotics meet last Saturday morning. I had a bit of an unexpected late night the previous evening, so it took everything I could muster to climb out of bed and drive over to Doylestown, PA for the meet. 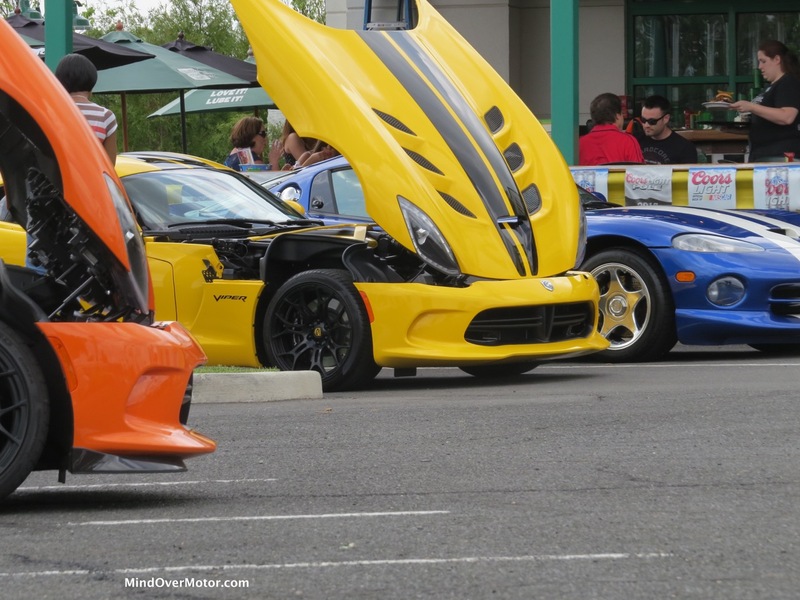 It is a cars and coffee style event, and many great cars show up each time, everything from hot rods to classics to supercars. 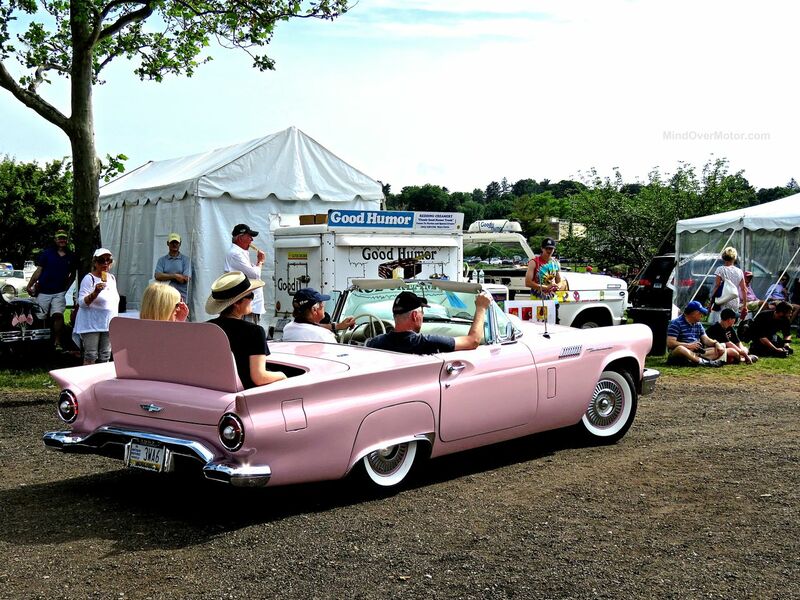 Bucks County is a great area to enjoy driving fun cars, with lots of winding back roads cutting through the woods, and lots of scenic destinations to visit. It also happens to be a pretty affluent area, so everything seems to add up nicely to make an event like the Bucks County Exotics car meet possible. Enjoy the photos and captions!